DAYTONA Sportscars has locked in their driving squads ahead of their two-car entry into the 2018 Liqui-Moly Bathurst 12 Hour. The two-car program will compete against a fleet of seven MARC Cars Australia entries in the Invitational Class next February 2-4. 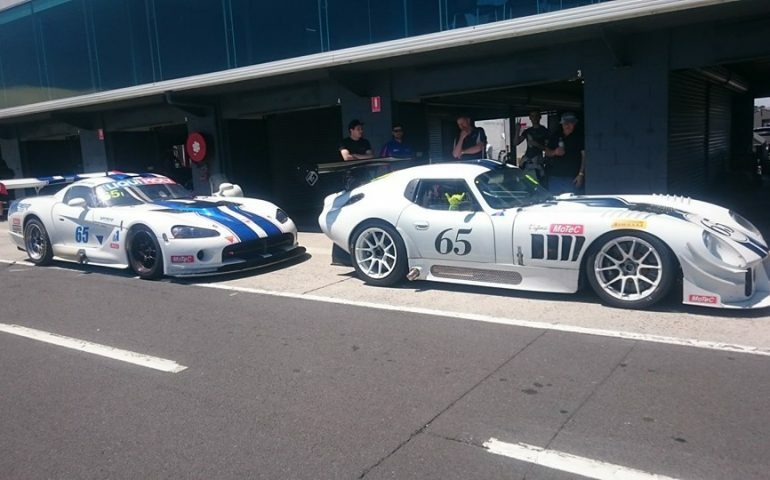 “With the decision made to run two cars in the 2018 Bathurst 12 hour, Richard Bendell, owner of Daytona sportscars realised that we needed some new drivers to take the team forward,” the team explained in a Facebook post today. “The team decided to sponsor 2/3 of the cost of the event for each driver to ensure that we could attract the very best drivers to the team, without money holding quality drivers back. “As soon as entries opened for the drive, Daytona sportscars were inundated with driver resumes from all over the country, and overseas for this opportunity. The difficult task of selecting the drivers came down to a final drive off at Phillip Island. Schoots and Augustine are regulars in the Daytona Bathurst program, while Michael Caine brings front-running experiece in the Bathurst 6 Hour Production Car race and the V8 Touring Car Series to the party. Former Australian Formula Ford and Supercars Development Series Champion Adam Macrow will bring a wealth of experience to the squad, as will Dylan Thomas – who has had notable success in Production Car endurance racing for his own CXC Global team. Howell has experience in Victorian state championship racing, in both GT and Improved Production cars.